If you are an old Kirov Series fan and you haven’t checked in to see what been happening with Volsky, Fedorov, Karpov and the rest, you’ve been missing out. The entire 40 book series has just described a massive loop in time, and our heroes have finally returned to 2021. The Season 6 opener, Homecoming now begins a haunting replay of what happened that day in the Norwegian Sea when Kirov went out for live fire exercises, yet the Karpov and Fedorov aboard the ship are not the unknowing souls they were in book 1. They carry all the experience and recollections of the entire journey they took through the past, and how the author pulled that off will be left unsaid here in case you haven’t started Homecoming yet. Karpov and Fedorov have returned to their own time with one mission in mind—prevent the initial shift of Kirov to the past. Homecoming therefore draws a thick dividing line between the main series and what now follows. Everything that happened in the first 40 books was the tale of Kirov’s journey after that fateful accident in the Norwegian Sea sent them hurtling back in time. Everything that happens now, from book 41 forward, is a delightful revisiting of Season 1 events, in effect, telling the tale of what would have happened to the ship and crew if they had not shifted back in time. Now we get something very special, and the author is writing these volumes with an eye towards welcoming readers back that may have jumped ship in the past, and also inviting new readers to jump right in here. They can begin the series with Homecoming, and when this season concludes, move back to book 1, Kirov, to see what happens to the ship if it failed to avoid the accident with Orel. All books from 41 forward act as a kind of prelude to the main series where Kirov shifts to the 1940’s. In Homecoming, Fedorov and Karpov join forces to reach 2021, and conspire to prevent the accident that sends Kirov back to the 1940s. Now they find themselves in their own war, one their ship was built to fight and win—WWIII. The author has brought the series home to its roots, and now we get treated to an hour by hour depiction of the outbreak of WWIII in the Norwegian Sea. What? Didn’t the war begin in the Pacific? Series veterans recall how the officers and crew determined the starting point of the war way back in book 3, Pacific Storm. Yet by preventing Kirov from shifting in that accident with Orel, something has already changed. Instead of vanishing mysteriously in the Norwegian Sea, Kirov’s presence becomes a magnet for trouble. When a British submarine, and one series readers have met before, receives an order to find and kill Kirov, they face the man who is now back in the Captain’s chair aboard our favorite battlecruiser, Vladimir Karpov. That little spat soon escalates, as Fedorov and Karpov realize the Russian Northern fleet is heading out to sea, and that a long planned war is unleashed when Russia makes a move on the Baltic States, just as it did with the Crimea and Ukraine. What follows is cover to cover naval/air action, with all the modern ships, planes and missiles on both sides, and with Volsky, Karpov, Fedorov and the entire cast of characters we’ve been following right in the thick of it all. It’s as if Captain Janeway of the Federation Starship Voyager finally returns home only to find the Federation is suddenly embroiled in a major war with the Romulans. Here, as the action spills over into the next book, Kill Chain, events we got glimpses of in the first season of the Kirov Series start to replay, only vastly extended and detailed, as they are sewn into the fabric of this emerging mega conflict in 2021. Argos Fire is also featured, as a means by which the author can present other theater actions in the war where Kirov is not present. This leads to a revised and extended battle with the Russian Black Sea Fleet, and a special assignment in the Med involving other characters we met there in the main WWII series. This is classic Kirov Series naval action, as it was in the beginning during Season 1, only now the author is showing us the war that every major power seems to be preparing for these days, a war we may all live to see become a grim reality given the current state of affairs in the world. Things we saw happen in book 1 of the series begin to reassert themselves in an eerie but welcome echo of the book that launched a thousand ships, Kirov. The second book, Kill Chain takes the emerging conflict into a higher gear when Karpov challenges the American carriers arriving to seal off the G.I.U.K Gap. Now the devious and cagey Captain uses all his hard fought battle experience in what becomes known as the Battle of the Denmark Strait. The Author is taking this down to the level of individual weapons systems and missiles. It’s a war, he says on more than one occasion, that is a “come as you are party,” and a chilling depiction of what might result if things were to heat up anytime soon in our world. All the various nations involved will fight it with the ships, planes and weapons they bought in the years leading up to this conflict. To see just how many missiles they will have to fire, the author had dug into US Navy open source procurement budgets and justification documents to see, for example, just how many LRASM, SLAM-ER, and Multi-Mission Tomahawks the US would actually have to take to sea if a major war broke out in August of 2021. You’ll be shocked to find out what the real state of readiness is these days. But in keeping with the primary motif of the entire series, there’s always a twist. On the Russian side, we get an enhanced and modernized Russian Navy here, because in the course of the main series, Fedorov learns that their initial shift back in time was not the first occurrence of that event. The real original point of departure occurred on an earlier time line, and that is where we find ourselves for this story. The world Kirov left behind in book 1 had only that single battlecruiser left functional, and one more laid up near Vladivostok, but not in a battle ready state. Here, the situation is much improved. In addition to Kirov, the Russians have Pyotr Velikiy, Admiral Nakhimov and Admiral Lazarev, all having completed their modernization programs. They also have a few other ships that are currently planned, which gives them a more modern fleet by 2021. While ruthless in limiting missile counts on the one hand, the author, a long time simulation designer, tinkers with the question behind any good war game—what if? It was that ‘what if’ that took us to the German attack on Gibraltar in the main series, the Operations in Syria and Iraq, Montgomery’s intrepid defense of Singapore, Yamamoto forsaking the Midway operation, and a detailed struggle for the Fiji Island group in its place, and so much more. 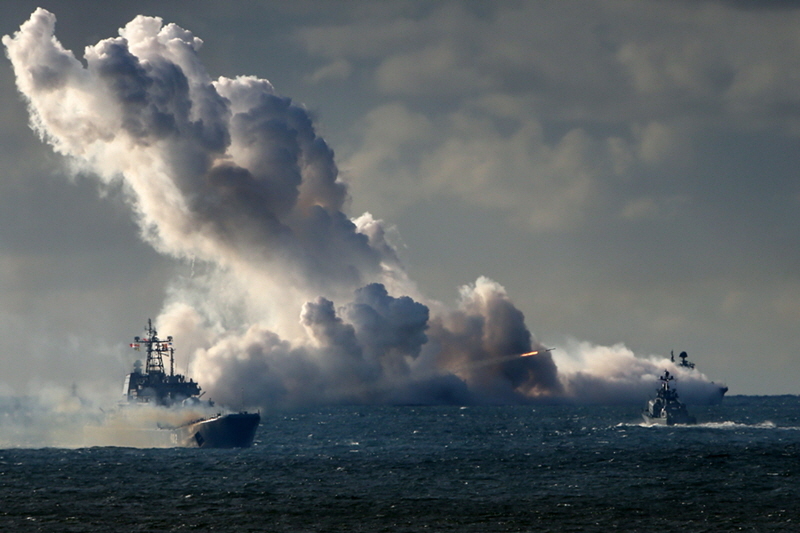 So what if the Russian Navy were stronger than it is now? What if Russia and China form a Eurasian Alliance to support each other’s geopolitical ambitions? 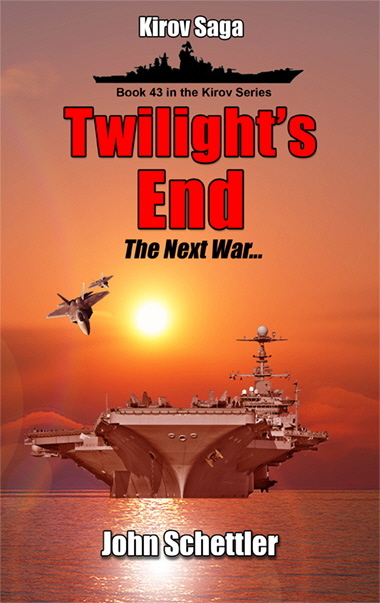 That’s where this war is taking us, because book three, Twilight’s End, will re-tell events that led to the outbreak of the war in the Pacific. China has been involved with a massive shipbuilding program, and here the author projects what they will be able to put to sea by 2021, including their newest Renhai class destroyer, which is an answer the US Ticonderoga Class cruisers, and three carriers. It begins with that spat over the Diaoyutai / Senkaku islands in the east China Sea, though the action is re-simulated here. Things quickly escalate. 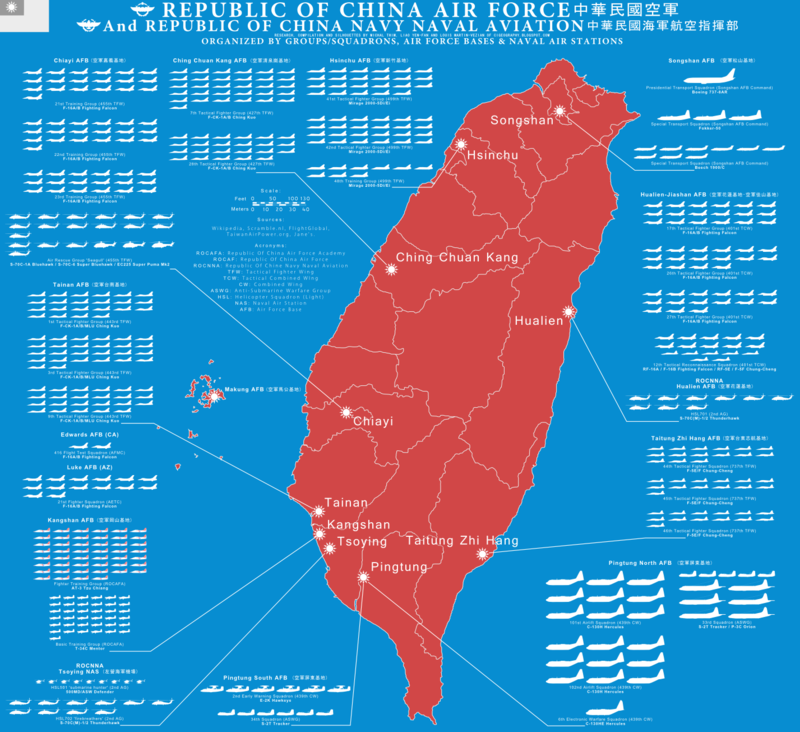 As war has already broken out in the European theater, China takes advantage of this to make their long planed move on Taiwan. We got the outlines of that plan in season one, and here we get the detailed account of that part of the war. Now the greatest military power on earth, the United States, must fight a two front war against very strong peer adversaries, and this is how the author thinks it will play out. Much has been written about the strain on the US Navy that led to several inexplicable accidents in recent years. How do Burke class destroyers with all those sophisticated radars not see and easily avoid the collisions that were reported? What happened to force a 25 year low on US carrier deployments in September of 2018? The Navy has taken a hard look at these questions, and more than a few heads rolled last year. 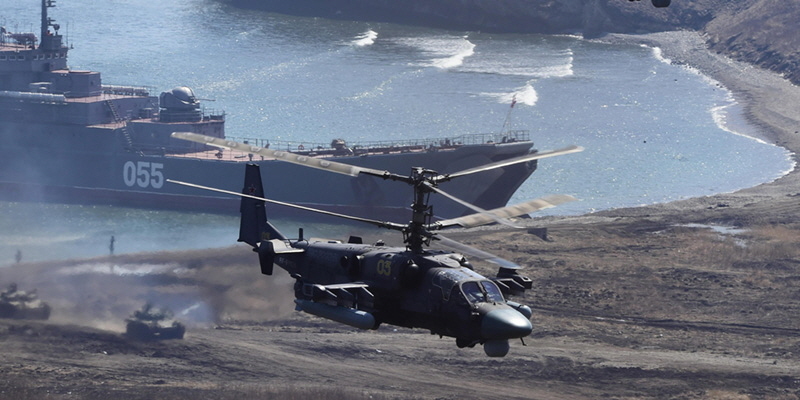 The law of overstretch has been in play, and to give the US room for maneuver against the powerful Eurasian Alliance, the author assumes the USN has made necessary reforms and improvements to enhance readiness. Otherwise they could never get as many carriers out to sea as this war will require. Every question batted around by the think tanks will be put to the test in these volumes. Can the network of Western Alliances hold up? Will hypersonic missiles prove to be the decisive weapon of a conventional WWIII? Is the Anti-access / Area Denial strategy China has devised with its ballistic missile threat real? How many missiles does it really take in the offense to saturate and overcome a modern SAM defense? Are US carrier strike groups still the masters of any sea engagement, or do they have a fatal vulnerability in the missile age? How good is the F-35 in real combat? What can it actually carry when it goes into battle? Can the F-22 Raptors prevail over the most advanced 5th Generation planes being produced by Russia and China? How does the US answer the threat of China’s ballistic missiles? It’s all here, every plane type, ship class, weapon system, radar, and all the strategies both sides have drilled on for decades, and it gets down to what loadouts all these planes and ships can actually carry, and how many missiles are really out there in the arsenals of the world’s great powers. That’s important, because once those missiles inventories run low, bad things tend to happen. WWIII is presented here in the same loving detail the author treated us to in his amazing alternate history of WWII. The first three volumes of “The Next War” are out now with the release of Twilight’s End in early April. The books have all the flavor, excitement and action of the original series, and still lay in just a hint of mystery. Series readers know that somewhere in the middle of every season, the author introduces a twist. Here at the outset, we’re getting treated to an hour by hour, missile by missile depiction of the war that may be on our near horizon, and one the author hopes we never see. 324 Pages, 36 Chapters, about 108,800 words. This season has a dual role, Since the entire story is cyclical, a great loop in time, the volumes of this season have a dual purpose. They will conclude the regular 40 book series for veteran readers, tying off all story lines, but they will also stand as a grand prelude to the 40 book series for new readers, as these events focus on what would have happened in 2021 if Kirov had not shifted to the past.. So if you’ve wondered about the Kirov Series, but find its vast canvas too intimidating to grasp, why not jump in right here? We’re sure you’ll enjoy the ride! Russian Landings at Andoya - North Cape Area, Norway (above) and the defense mounted there Volsky’s Task Force as the US Counterattack begins(Below).